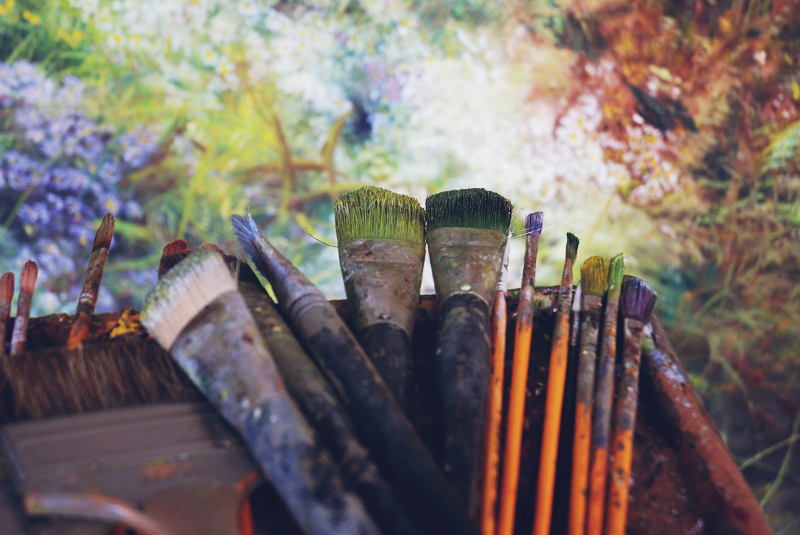 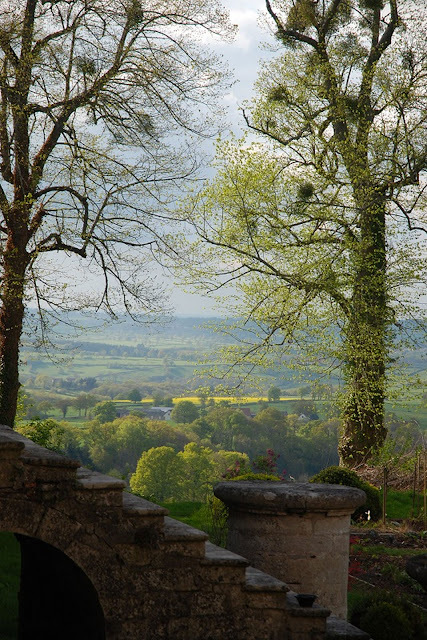 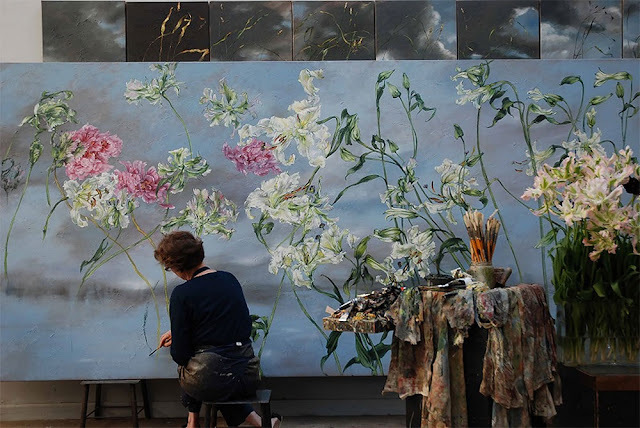 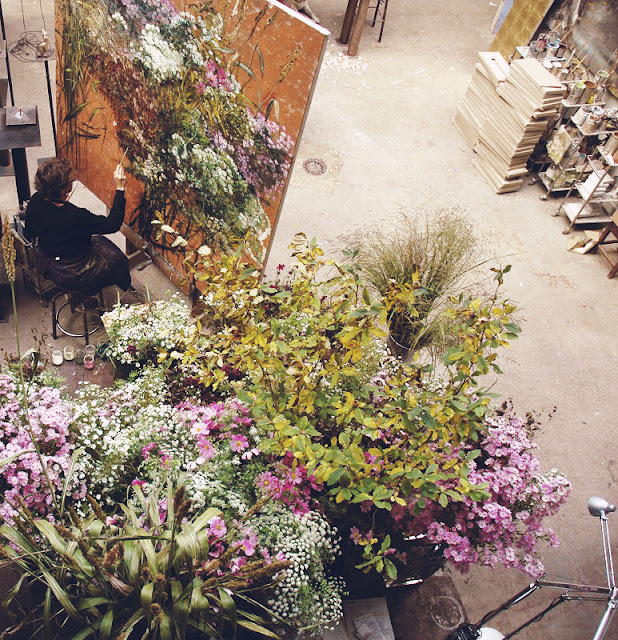 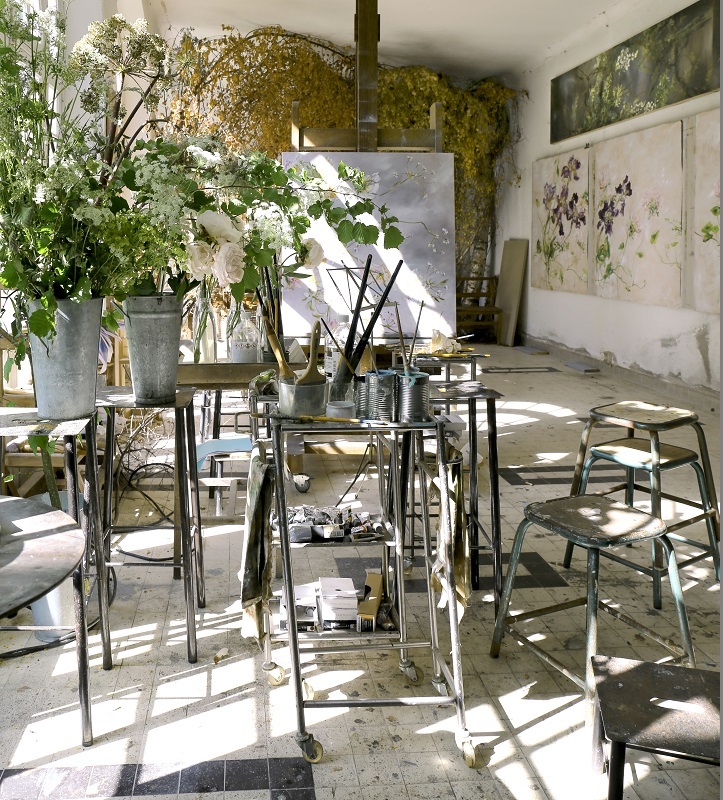 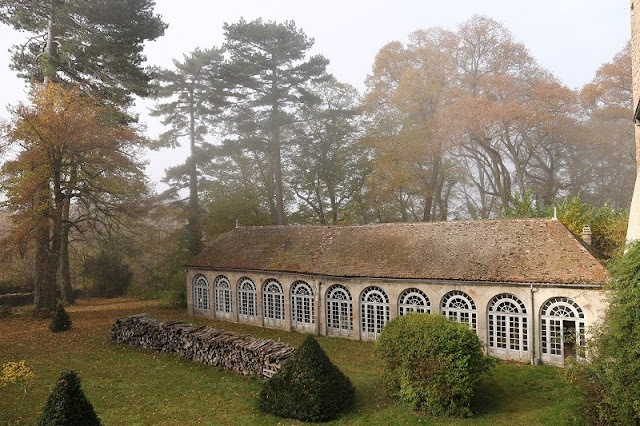 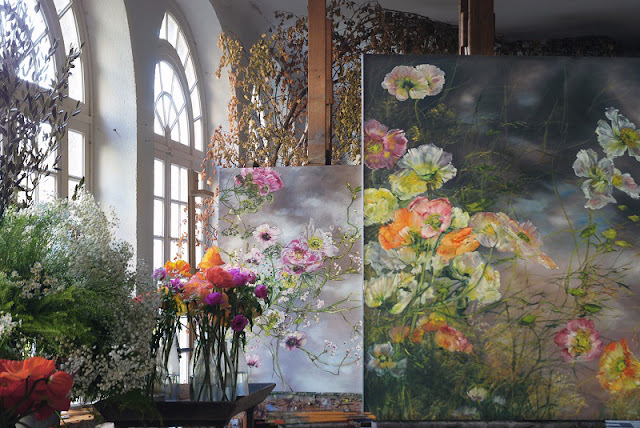 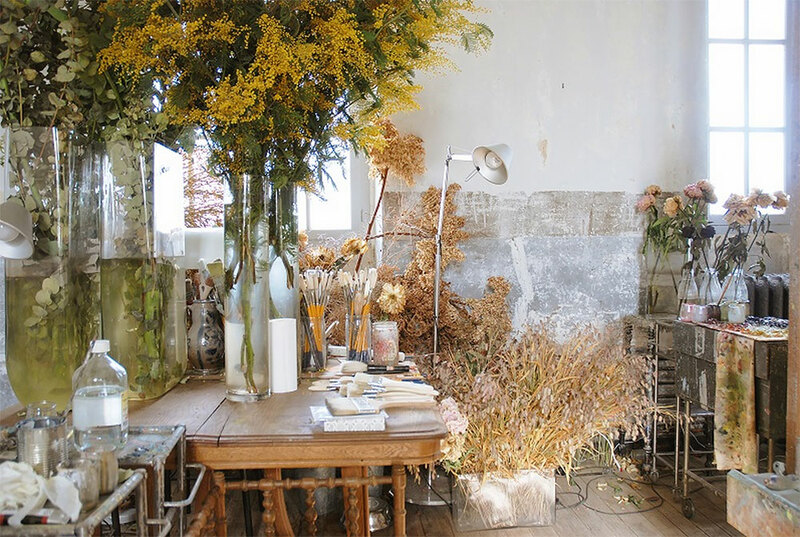 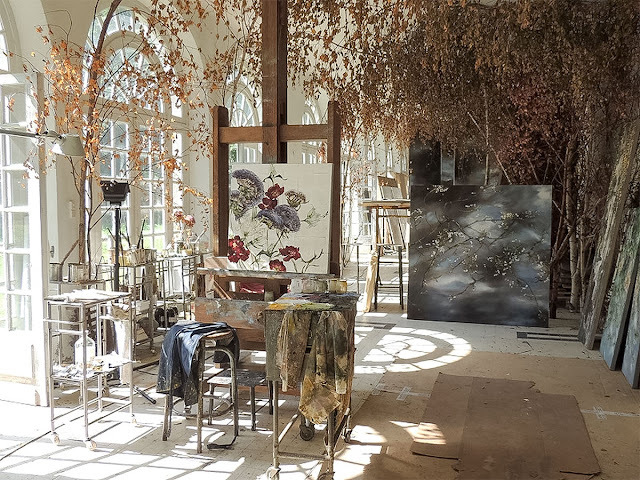 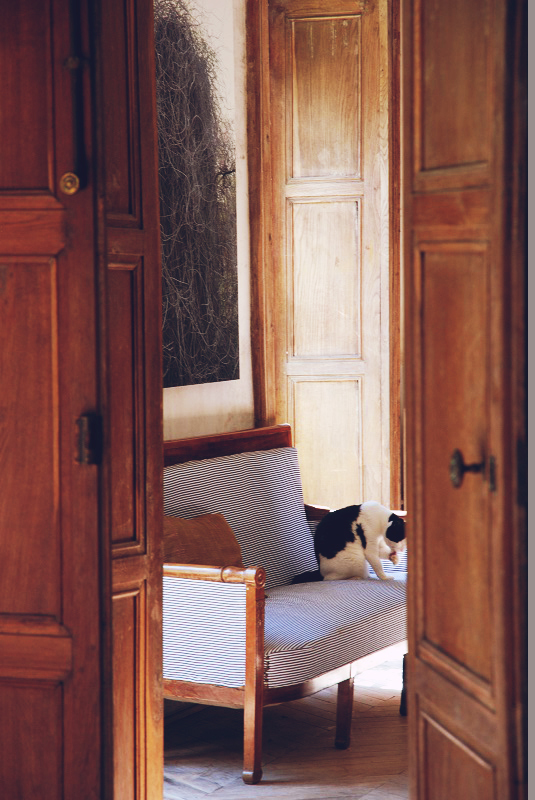 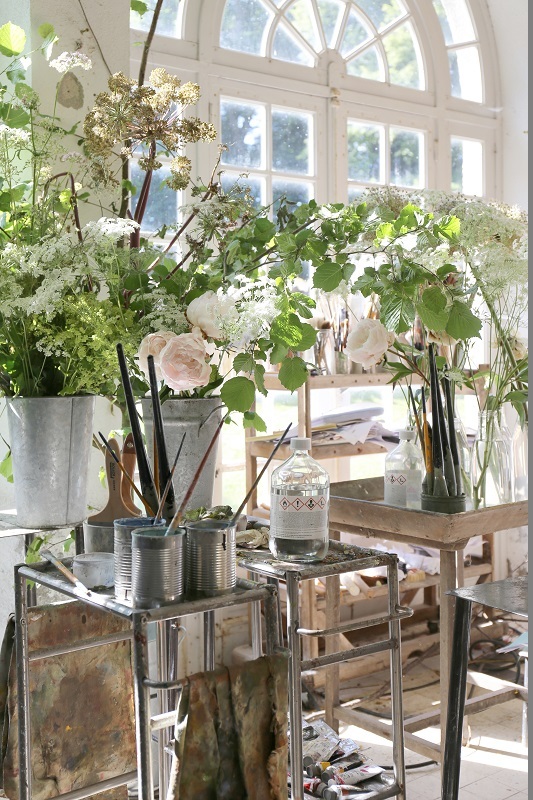 In the umpteenth hour of researching images for a feature on artist studios, I stumbled upon floral artist Claire Basler and the 13th century French castle where she resides and works. 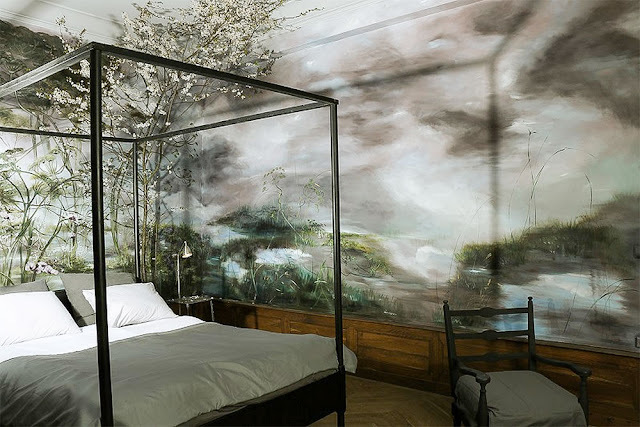 Honestly, my initial reaction was: this can’t be real. 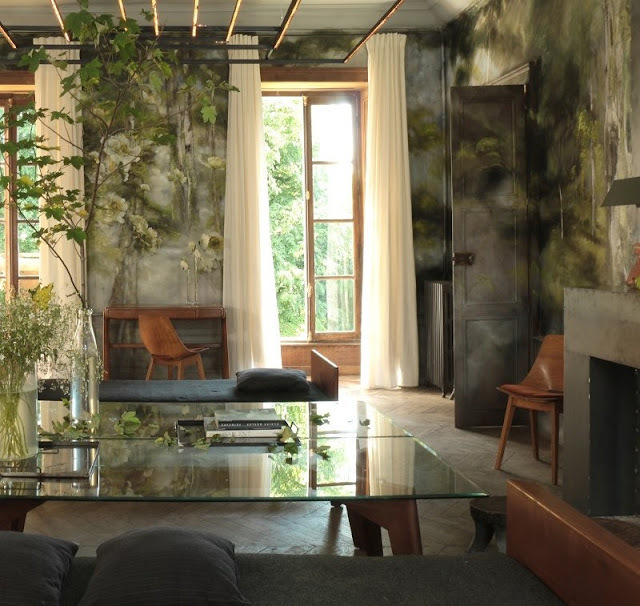 It’s that fantastical. 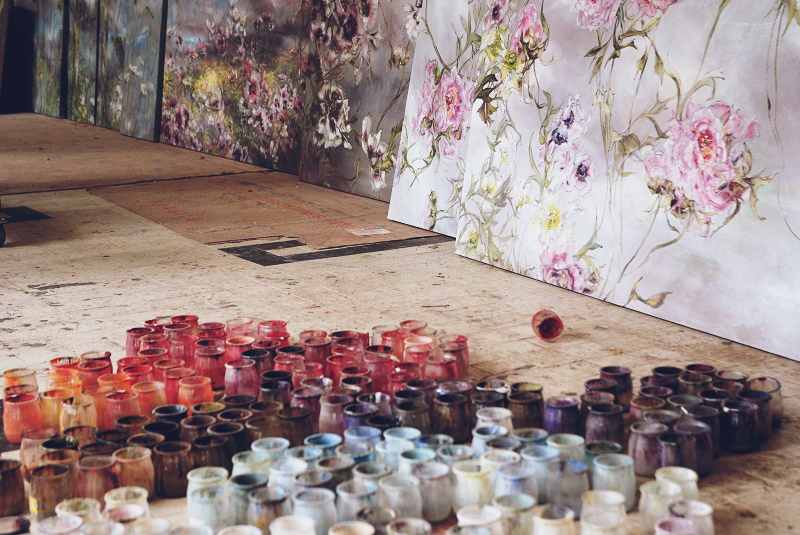 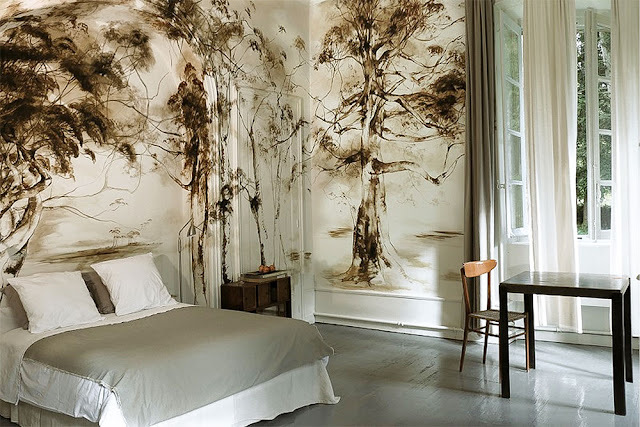 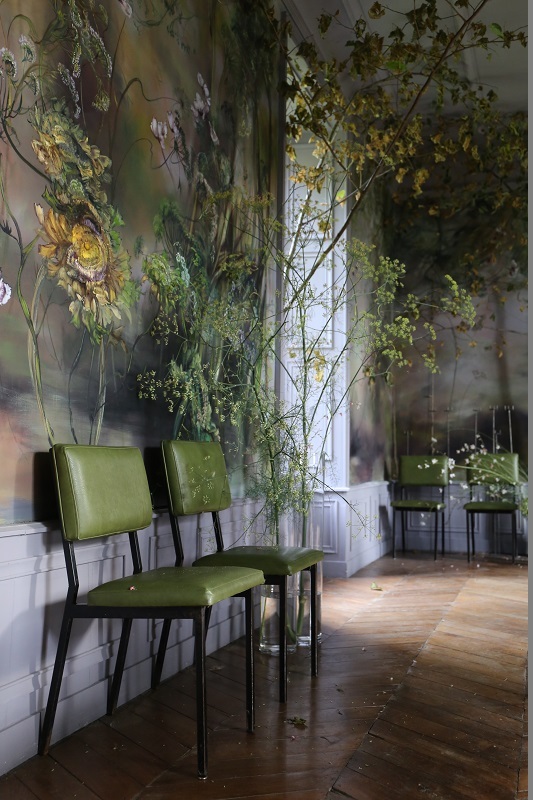 Giant floral and tree arrangements, placed throughout Château de Beauvoir, serve as inspiration for her life sized paintings and wall to wall murals. Life and work are truly one in Claire’s world. It’s mad, it’s exquisite, it’s breathtaking.